Baby, it’s cold outside. And with the colder temperatures brings a unique set of challenges for our skin. Whether you usually have oily, dry or combination skin, you likely find that winter makes your skin drier than usual. While dry skin typically brings a feeling of tightness, you may also experience flaking, cracking and even inflamed skin. There are two main reasons why skin dries out during the colder weather. First, the humidity level outdoors drops, and the air is cold and dry. This causes the moisture in your skin to dissipate more quickly, leaving it feeling dry and tight. Second, when the weather cools down, you typically turn on the heat indoors. Using the heat causes the air inside your home to dry out, which, in turn, dries out your skin. 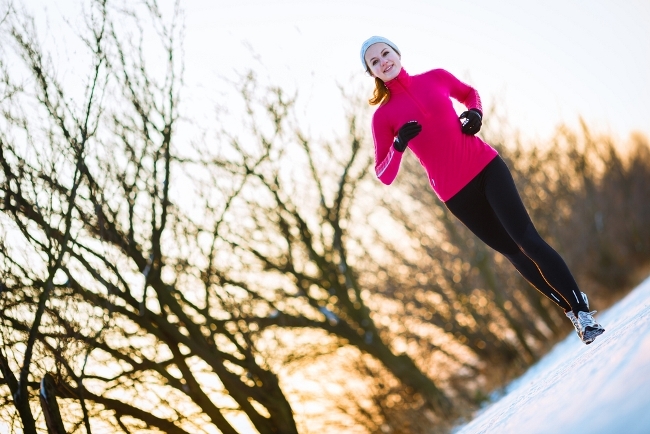 Other winter-related factors can add to your skin’s woes. If you’re outdoors in windy weather, which is common in this area during the winter, your skin can become drier and chapped. In the winter, you also often feel less thirsty, so you may not be drinking as many fluids as during the warmer months. But you’re still losing water from your skin on a daily basis, so replenishing it is a necessity. Use warm—not hot—water. You may want to warm up during your shower or bath, but exposure to hot water can actually strip your skin of protective oils. Instead, use warm water, and don’t linger too long in the water—aim for 10 minutes or less. Change up your products. What works beautifully for your skin during the rest of the year may not work for you during the winter. During the winter, choose thicker moisturizers, such as creams and ointments. Look for formulas that contain “humectants,” a class of substances such as glycerin and urea that attract and trap moisture in the skin. Apply these products to your skin within a few minutes of showering, bathing or washing your hands. Guard your hands. When you go outdoors in cold weather, wear a good pair of gloves that protects your hands from the cold and wind. Also, because you may be washing your hands more often during cold and flu season, be sure to use a moisturizing liquid hand soap and apply a good hand cream after washing. Plug in a humidifier. Your heating system fills your home with hot, dry air. Using a humidifier will help combat its effects by dispersing moisture throughout your home, which will hydrate your skin. Skin woes got you down this winter? UT Erlanger Dermatology offers comprehensive diagnosis and treatment of skin conditions. Good reminder to switch up lotions that may not be effective in winter months. Be sure and test any moisturizer first, as some can cause reactions to sensitive people. Also note that the humidifier should be the COOL air type, not the hot, as heat will make dry skin worse.